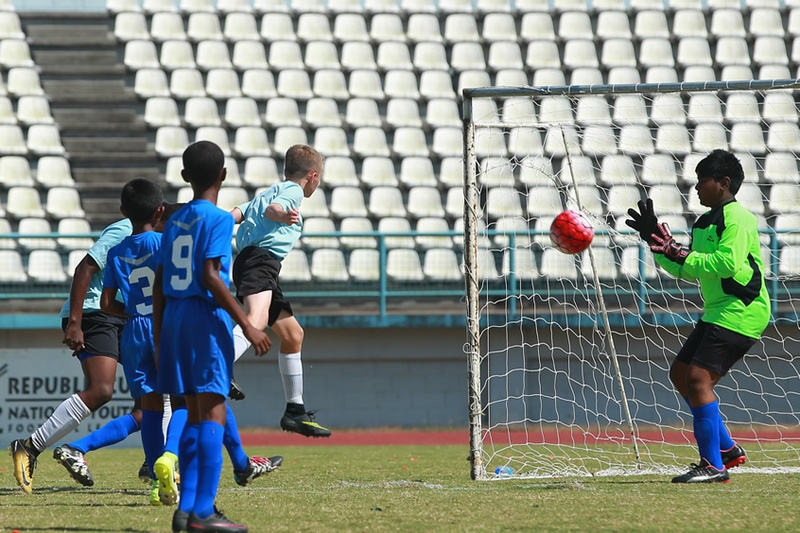 David Robinson, the Bank’s General Manager, Wealth Management met the players then the action kicked off with the Under-12 game between QPCC and a South Zone Under-12, which proved quite entertaining. The well organised and talented QPCC boys dealt the first blow when their captain Logan Maingot put them in the lead in the 22nd minute. The score remained at one nil at the half. On resumption, after a chat with coach Anthony Selby, the Parkites stepped up the pace and South was left gasping on all fronts, when Stephen Griffith in the 32nd and Caden Trestrail in the 45th minutes put the matter to a close with the game finishing 3-0 in QPCC’s favour. In the second game of the double header, FC Santa Rosa beat North Zone Under 16 by a single goal scored by Jashawn Thomas in the 45th minute. This was a far more even game, with the Northerners having a few chances to equalise but the ball eluded the net on each occasion. The 2018 Republic Cup National Youth League competition continues this Saturday 24 at Queens Park Savannah, from 10am. 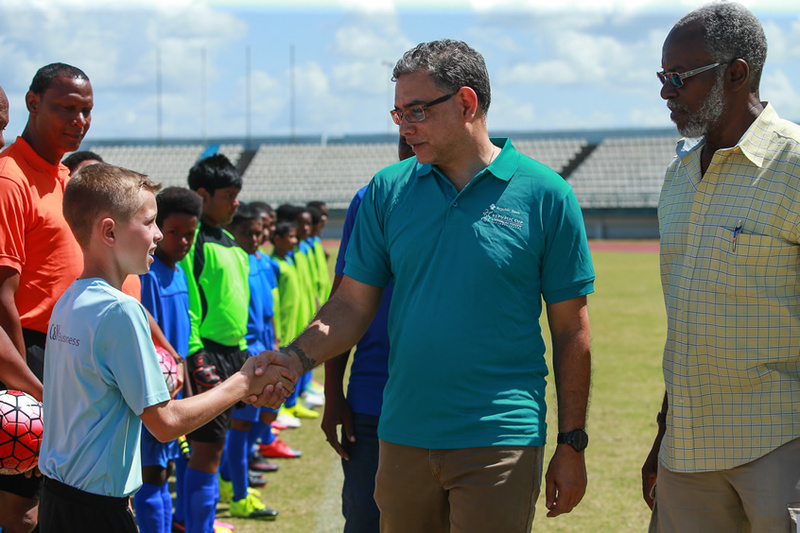 PHOTO CAPTION 1: David Robinson, General Manager, Wealth Management greets the teams before kick-off at the opening of the Republic Cup National Youth League. PHOTO CAPTION 2: QPCC Captain Logan Maingot scores a header to take his team to the lead during the opening game of the Republic Cup National Youth League.